TruePublica Editor: Bloomberg reported yesterday that British and EU negotiating teams are saying that terms won’t be agreed until the middle of November. This is an important position to understand for anyone hoping that a second EU referendum will save the country from Brexit. After speaking to some political sources close to the government, the general consensus is that there is no chance of a second referendum. Their confidence is based on sound logic for three good reasons. First, is that even if MPs and peers agreed in principle to hold a second referendum, the legislative process can be seriously drawn out. Bearing in mind that negotiations are continuing and that legislation on any deal needs preparing, parliament would need to be sidetracked enough to pass detailed rules for the conduct of the poll and the regulation of campaigners. At the last referendum, it took seven months before Parliament signed off the previous referendum legislation in 2015. On top of that, further time was then needed to pass secondary legislation on areas such as voting registration. Today, there is now exactly seven months left before we exit the EU – deal or no deal. In theory, Parliament could copy&paste some of that legislation from the 2015 Act – in order to try to speed the process up. However, according to David Jeffery, a politics lecturer at Liverpool University, this might not save a lot of time because issues would still need to be debated and scrutinised by MPs and Lords. For instance, what would the in/out question be this time? In other words, a reasonable time period to conduct a second referendum has just run out to beat the deadline prior to exiting the EU. The second reason is one of logistics. To conduct a second referendum, considerable effort is required. The last referendum cost £147 million just to organise on the ground such as polling stations and registrations. Currently, the government is focused on Brexit itself not reversing it with all the political fallout that would bring. Lastly, the UK negotiating team is using the EU’s fear of falling out with the USA as a lever for getting a good Brexit deal and this was confirmed Wednesday when EU negotiator Barnier disclosed that a deal is now on the table with favourable terms to the UK. The EU’s position is becoming weaker as fears of a serious recession would finish the 27 member bloc for good. 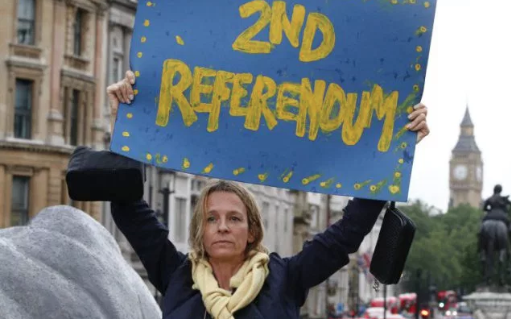 Therefore, the notion of a second EU referendum is dead in the water from a practicality, political and economic point of view and only an unexpected catastrophe could now trigger such an event, which is now unlikely.